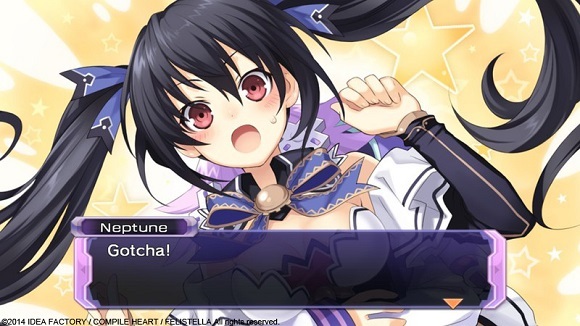 Gamindustri: One of many parallel universes protected by four goddesses known as CPUs. 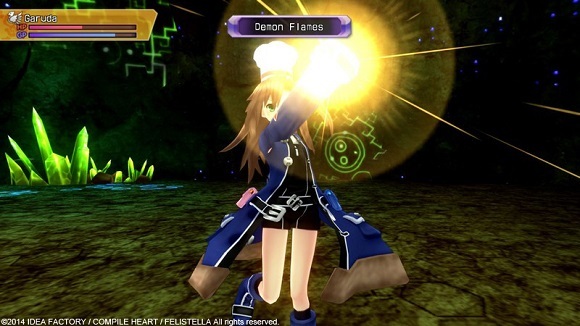 Long ago, these four CPUs engaged in a war for supremacy known as the War of the Guardians. However, this war weakened their protective hold on the world inhabited by their people, and in turn it was flooded by monsters under the influence of an individual known as Arfoire. 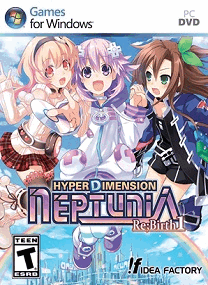 During the War of the Guardians, one of the CPUs—Neptune—was defeated by the others and hurled down to the world’s surface from the heavens. 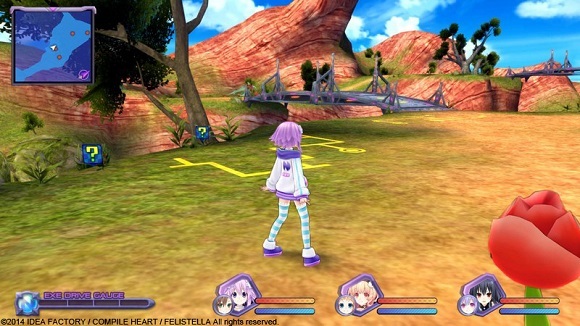 The drop caused Neptune to lose her memories, as learned by Compa and IF, who happen upon the fallen girl. 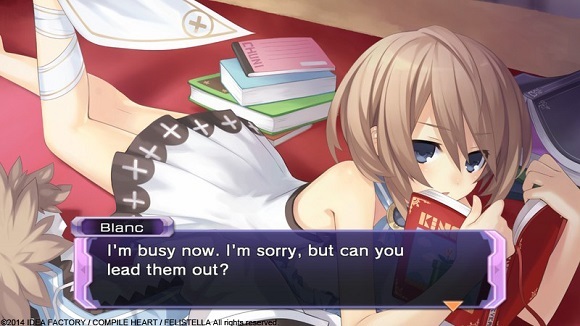 A mysterious book containing knowledge of all Gamindustri’s history suddenly speaks out to Neptune, Compa, and IF. With the assistance of this sentient book, the trio embark on an extraordinary journey across four different nations on a quest to save the entire world! Operating System: Windows 7 (64bit) Processor: Core2Duo 2.66 GHz Memory: 4 GB RAM Graphics: DirectX 10.x or OpenGL 3.3 with video card with 1GB ram and support for v4 shaders DirectX: Version 10 Hard Drive: 7 GB available space Sound Card: DirectX 9.0c compatible sound card Additional Notes: May not work properly with Windows 7 and 8 (32bit) version. On-board graphics card are not recommend. Highly recommend to have an independent graphics card. Min saya mau tanya ko pas mau masuk batel malah notresponding terus ya?? udah saya run administrator tetep aja kayak gitu ada saran gak ?? min ini kenapa ya kok nggak bisa dibuka ?? ini kenapaya apa harus ditaruh di folder steam dulu ?? gan kenapa ya, pas abis first battle lawan jelly2 gitu gamenya langsung crash?